This is a post I made on the now defunct 1up.com. RIP. I think it is just as relevant today. It also lets me go back and fix my punctuation, now I am a bit older and slightly wiser. These five games have mechanics that put most modern games to shame. After the E3 backlash of sequels, that were announced, I tried to think of a time when all we had were original Intellectual Properties. The only time I could think of was during my first console. The beloved NES. In Europe it had to compete with the ZX Spectrum and Commodore. No Contest really, this flashy futuristic console had it all for me. It left me with the happiest memories and probably my need for Glasses. The games were plentiful and without the internet or crossover press coverage, were a real voyage of discovery to buy. You never knew whether you were going to uncover a gem or waste your pocket-money on a dud. 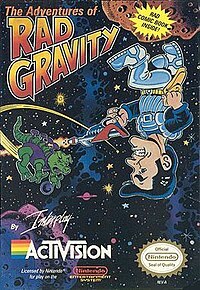 I have picked 5 games that could easily be remade today, that don’t appear on many greatest NES game lists. This was a simple game, isometric shooter, reasonably difficult, where you killed enemies with four simple weapons. 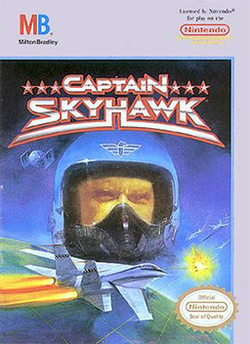 The graphics for the time amazed me, especially on the fighter jet you controlled. The best thing though, was the risk factor at the end of a level. You had to dock with a space station by timing your entry with the gate. This may have been a copy of Elite, but the originality is in the risk factor. If you had used all lives bar one on the previous boss, you had to dock with the station to upgrade and restock. If you missed – GAME OVER. You shouldn’t miss its fairly simple, but with one life the hands did tremble a bit. In this you play a Han Solo type space adventurer, who has to travel to different worlds, each with their unique atmosphere. Wikipedia mentions the Upside down planet, a simple gimmick but at the time WOW. The twist of this game was the extreme penalty for death. In an early forerunner to Dark Souls and its kin, you lost everything when you died. My abiding memory is being left with what looked like a penknife to fight a screen size monster. Add this into your next Mass Effect and we will see how many complain about the transferring of save files. You can see from the picture what is going on here. Firstly you have a commentator who is witty and calls the action in real-time. Then you have the competitors. This didn’t have the Licence of WWF/E or the real music, but it had character and each opponent was a unique challenge, which made you think out your strategy and come up with the winning tactic. When was the last time you did this in Smackdown or WWE2K15? Today the A.I. is just a cheap reversal merchant or a punchbag. Back then you were the punchbag. Firstly look at the box, Activision weren’t always the ‘Great Satan’. 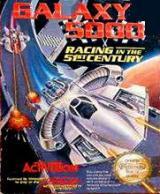 This is the forerunner to F-Zero, Wipeout and the rest. This is still superior, in my opinion. You had a craft that, as you kept it alive upgraded itself. If you crashed and destroyed your ship then it was back to the beginning, while everyone around you stayed upgraded. Equally, if you destroyed them, they were put back. Think of this now, a genuine choice of what way to play. Do you go for pace or do you destroy the enemies chances? Add to this the side-less tracks(think Rainbow Road) that let you take risky shortcuts and the hazards including, retractable spikes and fire-ball turrets. I almost hold this up as the perfect game. Maybe it was too far ahead of its time. Despite being a first party game, for me this had it all. You controlled one player in the team, just like in EA’S be a pro mode. 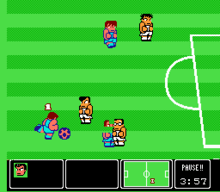 In this mode however, you have a conversation box below the pitch map. Your teammates could refuse to pass you the ball!!! This was tweaked at the beginning, with the simple tactics, which decided how independent of action they could be. Ignoring the obvious racism of the screenshot above, the different countries had their own personalities and got harder, as you made your way to the final. The really unique aspect for me was the physical contact. There was no referee and there was an elbow button. If you hit one opposing player enough, he would lie on the pitch until the next goal. If he was damaged enough he would only take one hit to finish after each kick off. 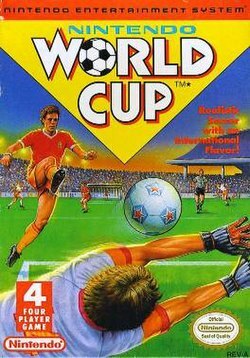 You also had different surfaces to play on, like an ice rink with never-ending slide tackles and change of direction issues, cement with one hit and your down mechanics, and my personal choice dusty Africa where you had stones to trip over. Unfortunately even today in 2015, we still don’t see developers take a risk by including some of these unique ideas. Either it is a case of pandering to the masses or it is fear of the corporate side of things. Most of the people who made these games may have been through a few job changes, or pitched the ideas to no response. My final paragraph from 2009 is still as valid today. If developers today showed even the slightest aspect of this creativity, then no one would leave E3 unsatisfied. Images courtesy of Wikipedia entries for games. Previous Post Do all superheroes need a troubled past?